Get Well. Stay Well. Enjoy Life! R W Oelslager, D.C., is a chiropractor located in Rochester, MN. Take the next step and contact Dr. R W Oelslager, D.C., for a consultation in Rochester, MN or to get more information. Frank L Grayson, D.C., is a chiropractor located in Rochester, NY. Techniques: • Diversified • Cox Take the next step and contact Dr. Frank L Grayson, D.C., for a consultation in Rochester, NY or to get more information. Kenneth F Hack, D.C., is a chiropractor located in Rochester, NY. Take the next step and contact Dr. Kenneth F Hack, D.C., for a consultation in Rochester, NY or to get more information. 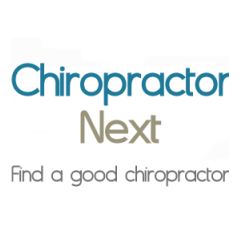 Siping Wu, D.C., is a chiropractor located in Rochester, NY. Take the next step and contact Dr. Siping Wu, D.C., for a consultation in Rochester, NY or to get more information. Sheldon R Krieger, D.C., is a chiropractor located in Rochester, NY. Techniques: • Applied Kinesiology • Sacro Occipital Technique • Activator Methods • Diversified Take the next step and contact Dr. Sheldon R Krieger, D.C., for a consultation in Rochester, NY or to get more information. E Daniel Quatro, D.C., is a chiropractor located in Rochester, NY. Techniques: • Flexion-Distraction Take the next step and contact Dr. E Daniel Quatro, D.C., for a consultation in Rochester, NY or to get more information. Robert Dalton, D.C., is a chiropractor located in Rochester, NY. Techniques: • Diversified • Activator Methods • Cox • Trigger Point Therapy • Logan Basic Take the next step and contact Dr. Robert Dalton, D.C., for a consultation in Rochester, NY or to get more information. David Siracuse, D.C., is a chiropractor located in Rochester, NY. Techniques: • Chiropractic Biophysics • Thompson • Diversified Take the next step and contact Dr. David Siracuse, D.C., for a consultation in Rochester, NY or to get more information. Joseph R Cipolla, D.C., is a chiropractor located in Rochester, NY. Take the next step and contact Dr. Joseph R Cipolla, D.C., for a consultation in Rochester, NY or to get more information. Kevin Infantino, D.C., is a chiropractor located in Rochester, NY. Take the next step and contact Dr. Kevin Infantino, D.C., for a consultation in Rochester, NY or to get more information. Robert D Monit, D.C., is a chiropractor located in Rochester, PA. Techniques: • Diversified • Logan Basic Take the next step and contact Dr. Robert D Monit, D.C., for a consultation in Rochester, PA or to get more information. Paul C Kraft, D.C., is a chiropractor located in Rochester Hills, MI. Techniques: • Diversified • Gonstead • Thompson • Cox • Activator Methods • Toggle Recoil Take the next step and contact Dr. Paul C Kraft, D.C., for a consultation in Rochester Hills, MI or to get more information. Marie-Claude Purdy, D.C., is a chiropractor located in Rochester Hills, MI. Techniques: • Diversified • Activator Methods • Thompson • Gonstead Take the next step and contact Dr. Marie-Claude Purdy, D.C., for a consultation in Rochester Hills, MI or to get more information. Steve Divito, D.C., is a chiropractor located in Rochester, NY. Techniques: • Chiropractic Biophysics Take the next step and contact Dr. Steve Divito, D.C., for a consultation in Rochester, NY or to get more information. Michael Goetz, D.C., is a chiropractor located in Rochester, NY. Techniques: • Diversified • Logan Basic • Activator Methods Take the next step and contact Dr. Michael Goetz, D.C., for a consultation in Rochester, NY or to get more information. Colm Murphy, D.C., is a chiropractor located in Rochester, NY. Take the next step and contact Dr. Colm Murphy, D.C., for a consultation in Rochester, NY or to get more information. Ernest Quatro, D.C., is a chiropractor located in Rochester, NY. Techniques: • Flexion-Distraction Take the next step and contact Dr. Ernest Quatro, D.C., for a consultation in Rochester, NY or to get more information. Michael F Maiorano, D.C., is a chiropractor located in Rochester, NY. Techniques: • Diversified • Activator Methods • Gonstead Take the next step and contact Dr. Michael F Maiorano, D.C., for a consultation in Rochester, NY or to get more information. Mark T Petersen, D.C., is a chiropractor located in Rochester, NH. Techniques: • Diversified Take the next step and contact Dr. Mark T Petersen, D.C., for a consultation in Rochester, NH or to get more information. David A Kloch, D.C., is a chiropractor located in Rochester, NY. Take the next step and contact Dr. David A Kloch, D.C., for a consultation in Rochester, NY or to get more information. Irene K Adamczuk, D.C., is a chiropractor located in Rochester, NY. Techniques: • Grostic Take the next step and contact Dr. Irene K Adamczuk, D.C., for a consultation in Rochester, NY or to get more information. Roger W Scott, D.C., is a chiropractor located in Rochester, NY. Take the next step and contact Dr. Roger W Scott, D.C., for a consultation in Rochester, NY or to get more information. Susan A Schlaf, D.C., is a chiropractor located in Rochester Hills, MI. Techniques: • Applied Kinesiology • Sacro Occipital Technique • Diversified • Activator Methods Take the next step and contact Dr. Susan A Schlaf, D.C., for a consultation in Rochester Hills, MI or to get more information. Matthew Richardson, D.C., is a chiropractor located in Rochester, NY. Techniques: • Diversified • Flexion-Distraction • Trigger Point Therapy Take the next step and contact Dr. Matthew Richardson, D.C., for a consultation in Rochester, NY or to get more information. Frieda Hamilton, D.C., is a chiropractor located in Rochester, MI. Take the next step and contact Dr. Frieda Hamilton, D.C., for a consultation in Rochester, MI or to get more information. Susan J Schliff, D.C., is a chiropractor located in Rochester, NY. Take the next step and contact Dr. Susan J Schliff, D.C., for a consultation in Rochester, NY or to get more information. Joseph C Brongo, D.C., is a chiropractor located in Rochester, NY. Take the next step and contact Dr. Joseph C Brongo, D.C., for a consultation in Rochester, NY or to get more information. Kimberly Valentine, D.C., is a chiropractor located in Rochester, NY. Take the next step and contact Dr. Kimberly Valentine, D.C., for a consultation in Rochester, NY or to get more information. Colby Shores, D.C., is a chiropractor located in Rochester, NY. Take the next step and contact Dr. Colby Shores, D.C., for a consultation in Rochester, NY or to get more information. Mario A Grippa, D.C., is a chiropractor located in Rochester, PA. Take the next step and contact Dr. Mario A Grippa, D.C., for a consultation in Rochester, PA or to get more information. Charles Boehly, D.C., is a chiropractor located in Rochester, NY. Techniques: • Chiropractic Biophysics • Diversified • Manual Adjusting • Thompson • Arthrostim Neurological Reintegration Take the next step and contact Dr. Charles Boehly, D.C., for a consultation in Rochester, NY or to get more information. Dorothy J Paciorek, D.C., is a chiropractor located in Rochester, NY. Techniques: • Thompson • Diversified • Palmer Package • Activator Methods • Cox Take the next step and contact Dr. Dorothy J Paciorek, D.C., for a consultation in Rochester, NY or to get more information. Robert Smigelski, D.C., is a chiropractor located in Rochester, MI. Take the next step and contact Dr. Robert Smigelski, D.C., for a consultation in Rochester, MI or to get more information. J.Taylor Shine, D.C., is a chiropractor located in Rochester, NH. Techniques: • Diversified • Activator Methods • Flexion-Distraction Take the next step and contact Dr. J.Taylor Shine, D.C., for a consultation in Rochester, NH or to get more information. Jeffrey R Failing, D.C., is a chiropractor located in Rochester, NY. Take the next step and contact Dr. Jeffrey R Failing, D.C., for a consultation in Rochester, NY or to get more information. Nicole Lynne Rainey, D.C., is a chiropractor located in Rochester Hills, MI. Techniques: • Palmer Package • Diversified • Gonstead • Cox • Thompson Take the next step and contact Dr. Nicole Lynne Rainey, D.C., for a consultation in Rochester Hills, MI or to get more information. Robert M Ducharme, D.C., is a chiropractor located in Rochester Hills, MI. Techniques: • Diversified • Cox • Thompson • Applied Kinesiology • Activator Methods Take the next step and contact Dr. Robert M Ducharme, D.C., for a consultation in Rochester Hills, MI or to get more information. Joseph Canu, D.C., is a chiropractor located in Rochester, MI. Take the next step and contact Dr. Joseph Canu, D.C., for a consultation in Rochester, MI or to get more information. Andrew S Dunn, D.C., is a chiropractor located in Rochester, NY. Take the next step and contact Dr. Andrew S Dunn, D.C., for a consultation in Rochester, NY or to get more information. Jennifer L Plunkett, D.C., is a chiropractor located in Rochester, NY. Take the next step and contact Dr. Jennifer L Plunkett, D.C., for a consultation in Rochester, NY or to get more information. Mark J Ellis, D.C., is a chiropractor located in Rochester, NH. Techniques: • Gonstead • Diversified • Logan Basic Take the next step and contact Dr. Mark J Ellis, D.C., for a consultation in Rochester, NH or to get more information. Saundra Frazho, D.C., is a chiropractor located in Rochester, MI. Take the next step and contact Dr. Saundra Frazho, D.C., for a consultation in Rochester, MI or to get more information. Andrew A Velard, D.C., is a chiropractor located in Rochester, NY. Take the next step and contact Dr. Andrew A Velard, D.C., for a consultation in Rochester, NY or to get more information. Fred Sanfiliop, D.C., is a chiropractor located in Rochester, NY. Take the next step and contact Dr. Fred Sanfiliop, D.C., for a consultation in Rochester, NY or to get more information. Chad Martin, D.C., is a chiropractor located in Rochester, WA. Take the next step and contact Dr. Chad Martin, D.C., for a consultation in Rochester, WA or to get more information.